In the current economic climate there are, unfortunately, increasingly more tenants unable to pay the rent on their leased commercial premises or who are breaching some other covenant under their lease. This article outlines how a landlord can cancel a lease in the event of default by the tenant and how landlords can best protect themselves from being left out of pocket. Under the Property Law Act 2007 (the Act) a lease can be cancelled if the rent has been in arrears for not less than 10 working days or if the tenant has breached some other covenant or condition of the lease. As a landlord, if you wish to exercise the right to cancel a lease you must first serve a notice of intention to cancel the lease on the tenant. Tenants right to apply to a court for relief against the cancellation of the lease, and the advisability of seeking legal advice on the exercise of that right. You must give a minimum notice period of 10 working days to your tenant if there are rent arrears. However, the Act states that the notice period may run concurrently with the period in which the rent must be in arrears before you may exercise any right to cancel the lease. Therefore, you can serve notice as soon as the rent is one day in arrears. Your acceptance of any rent payment after the notice has been served does not operate as a waiver of your right to cancel the lease. For any other breaches of the lease, such as your tenants failure to pay outgoings or comply with the maintenance provisions under the lease, you must provide a reasonable notice period to your tenant for the breach to be remedied. Any term expressed or implied in a lease has no effect if it provides that the lease is automatically cancelled by a breach of a covenant or condition of the lease or is otherwise inconsistent with the Act. In order to ensure your notice complies with all the Acts requirements and you can rely on it to cancel the lease, we recommended that you talk with us before serving it to your tenant. If the breach has not been remedied by your tenant at the expiry of the period specified in the notice, you can cancel the lease. In order to do this, you will have to either apply to the court for an order for possession of the land or re-enter the land peaceably. The more cost-effective and timely option is for you to re-enter the land peaceably and change the locks. However, this can prove difficult if your tenant will not vacate the premises willingly, as it is advisable you only re-enter the premises during daylight hours and you may not use force or cause a breach of the peace. Cancellation of the lease does not prevent you from suing your tenant for any money owing or damages for any other breach of the lease. However, you can take steps at the beginning of the lease to minimise the risk of being left out of pocket when the lease is terminated. It is important to remember that the Act is a Code containing minimum requirements that require compliance. You should note that if the lease extends the minimum notice period then you must comply with the lease. This was reiterated in a recent Supreme Court decision where the lease provided that the landlord could terminate 14 days after rent had become due and remained unpaid. The landlord miscalculated and re-entered purporting to cancel the lease after 13 days. The court held that to be an unlawful repudiation of the lease and the landlord was directed to pay substantial damages. The lesson is that you need to be careful that you follow the correct procedure. When considering entering into a lease with a prospective tenant, there are some measures that can be taken to help protect your position. Do your homework: Ask your prospective tenant for an outline of their business credentials, their business plan and for references. While in negotiations, you should consider the following security measures. Personal guarantee/covenant: Ask for a personal guarantee of your tenants obligations. This is common practice and an important step where your tenant is a company or a trust. Many tenants will structure their business using a company or perhaps a trust with the intent of limiting the scope of their liability. Usually, the personal guarantee should be given by someone obtaining a benefit from the lease such as a major shareholder or, where appropriate, a director (often the person running the business). Circumstances will dictate who is most appropriate to provide the guarantee. You can call upon the guarantor when the tenant defaults under the lease. For the guarantee to be binding, the guarantor must sign the lease (and agreement to lease where applicable). A guarantor will generally be bound by rent reviews provided for in the lease. It should be noted that there are circumstances where the guarantor may not be liable. For example, where your tenant exercises a right of renewal, a guarantors liability might not automatically continue. Similarly, the guarantors liability will not usually extend into any period where your tenant remains in possession following the expiry of a fixed term (holding over period).  The extent of a guarantors liability depends on the circumstances and wording of the guarantee. Bond/rent deposit: Ask your tenant to pay a lump sum up-front to be held as security for payment of rent and the performance of their obligations. It is important that both landlords and tenants understand the laws surrounding breaches and the cancellation of commercial leases. The catch, however, is that not all tenants will be in a financial position to pay a deposit at the outset as they are likely to have significant start-up costs. Where a bond is agreed, it is important to specify the terms in the lease. For example, who holds the bond? In what circumstances will it be used? Is your tenant obliged to replenish the bond when funds are used to remedy a breach? As landlord, you should be careful that the wording of the bond clause doesnt compromise your ability to enforce other remedies, such as the right to issue a notice of intention to cancel for non-payment of rent (as discussed above). We can help you to draft a suitable clause. Bank guarantees: Ask your tenant to arrange a bank guarantee. As the name suggests, when a tenant defaults under the lease, a landlord can make demand on the bank for payment. In most cases, you will be able to make demand on the bank without the need to give proof of the breach. If a bank guarantee is to be used, make sure you know the extent of the guarantee, ie: how much money is guaranteed and for how long does the guarantee endure? Although not as common, there are specialist organisations and some insurers who provide a similar service. If you are not familiar with the entity suggested, you should check the entity is robust and the security can be relied on. As with bonds, this type of arrangement will not be available to all tenants depending on their financial position and how the provider assesses the risk. Before entering into any lease (or agreement to lease), talk with us first. We can help you in deciding what protection measures will be beneficial and can draft the lease accordingly. It is important that both landlords and tenants understand the laws surrounding breaches and the cancellation of commercial leases. Furthermore, both parties should be mindful of what further security options are available and the implications they have for each party. Owners of forestry land need to be aware of decisions they should make this year under the Climate Change Response Act 2002. The Act was created to enable New Zealand to meet its international obligations to reduce carbon emissions. 2. Post-1989 forests, ie: forests planted after 31 December 1989 either with native or non-native species on land which was not in forest on 1 January 1990. Under the New Zealand Emission Trading Scheme certain foresters will be allocated New Zealand Units under the Kyoto Protocol, but there are then restrictions placed on the land regarding deforestation and disposal. Pre-1990 forests are automatically brought under the Emission Trading Scheme, and the owners of these forests may be entitled to a free allocation of units but not to future emission units. The owners may not deforest more than two hectares in any five year period. The critical date for ownership and allocation of units of a pre-1990 forest was 20 July 2010. If you owned the land on that date you are entitled to an allocation of units. If you owned the land prior to 31 October 2002, you will receive 60 free units/hectare of forest land. For land acquired after that date, however, you will only be entitled to 39 free units/hectare. 2. Elect not to apply for an exemption and elect to receive the free units. The land, however, will be locked into forestry unless you (as the owner) pay for the cost of deforestation, surrender the units and pay a fee to the government. An application for an exemption for an under-50 hectare pre-1990 forest must be made before 30 September 2011. An exemption notice will be placed on the title to the forest; exemption is permanent and cannot be traded or transferred to another area. A pre-1990 forest of more than 50 hectares is automatically part of the scheme. This means that you cannot permanently deforest the land unless you meet certain costs. In this case, you, as the owner should apply for a free allocation of units before 30 November 2011 which will give compensation for the restriction of the future land use; you will then be granted a certain number of units into your account on the Emission Unit Register. These units can be sold to other participants or retained so that they can be returned to the government to defray the costs if in the future you wish to permanently deforest the land. If no application is made for the units they will not be allocated. Post-1989 forest land could earn units from 1 January 2008. You must opt into the scheme in order to obtain the units. If you dont opt in, you can deforest the land without any scheme liabilities. If you intend to change the use of the land to a use other than forestry, eg: grazing or dairying, do not opt in. The principal benefit of becoming a voluntary participant in post-1989 forests is to earn units from the government for any increase in the total carbon stocks. If you opt in before the end of 2012, units can be earned for the total carbon absorbed by the forest between 2008 and 2012. If you register after 31 December 2012 you will only be able to earn units for the period after 2013. To opt in as a voluntarily participant you must own the forest land, have a registered forestry right or registered lease over the forest land, or be a party to a crown conservation contract. The effect of opting in as a voluntarily participant means that you are required to report carbon levels every five years, notify the sale or transfer of the land, surrender any units if the total carbon stock is reduced and return any units if part (or all) of the forest is harvested or destroyed. Crucial dates for 201130 September: Application for exemption for under 50 hectares pre-1990 forests.30 November: Application for free allocation of units for pre-1990 forests. Furthermore, if you are selling or buying forestry land you need to be clear as to the proper treatment of the units. Specific units are transferrable and some are not. If units are retained and not transferred with the property the value of the units (at present about $20/unit) must be paid back to the government. You may need expert advice to navigate your way through this entangled undergrowth. When parenting disputes result in a court application there is clearly a problem that parents cannot resolve themselves and the Family Court is asked to settle the dispute. Often these cases can take months or years to resolve mostly due to the shortage of court hearing times. There is now another way, however, and Family Court lawyers are seeing good results for families from counsel-led mediations. The recent introduction of counsel-led mediations is aimed at helping the parties (usually both parents) solve the dispute, or at least reduce the number and complexity of the issues, as soon as possible. Counsel-led mediation is a new development in the Family Court arena. As the name suggests, it is a mediation led by a lawyer, who is independent from both parties involved. The parties attend the mediation to discuss their dispute in a structured environment in order to reach a solution. Mediation also avoids the more unpleasant aspects of full court proceedings huge stress, often a lot of expense and time delay. weeks from filing the application. Each partys lawyer may attend the mediation with them, so there is no worry about being pressured into something without the help of your lawyer. Another lawyer will also attend to represent the children. The mediation is confidential which enables free and frank discussion, with the lawyers and the mediator ensuring the process is fair. If a solution is reached it can be made into a binding court order by a judge. The mediation gives scope to address matters that may not be relevant in the court room. It can also examine with each party what is really driving them in their actions. This may mean the nature of the dispute is quite different to what everyone involved first believed. This in turn means that a solution reached through the mediation process is more likely to satisfy the parties real or underlying concerns. When people come to a decision themselves they will be happier with that decision even if it requires some compromise. If a court has to impose a decision on parties, one or both of them may be unhappy with the result and be less inclined to comply, which may lead to more problems in the future. For people who are worried about the confrontational nature of a court hearing, and the cost and likely delay in getting a result, counsel-led mediation provides encouragement that a solution is possible without arguing in front of a judge. Using mediation for an early and quick solution to a parenting dispute is well worth the effort and commitment. More importantly, the outcomes will provide much needed security and stability for the children. Since the Christchurch earthquakes and, indeed, many of the other natural disasters that have been thrown at the world this year, you may have heard the term force majeure and not know exactly what it means. French for superior force, force majeure is a term most usually found in legal contracts that frees both parties from an obligation or a liability against an extraordinary event that is out of their control. These off-the-wall events are usually earthquakes (yes, we know all about them), volcanic eruptions, tsunamis, flooding and so on. Its not an event where the other party goes bankrupt, you are attending a funeral, a sudden rainstorm floods out an event, union labour has called a strike or there is negligence from either party. The purpose of a force majeure clause in a contract is to relieve one of the parties from an obligation under that specific contract. Canterbury businesses may not have had a force majeure clause in contracts until the recent earthquakes, but they may be included more frequently from now on. Whether youre in the country or in town, dealing with your boundary fences can become an aggravating issue with your neighbours. This article looks at what the law says, and also how it can be applied to some specific fencing issues. Brian and Sue next door want to upgrade the boundary fence. You are quite happy with what is there already; its been there a few years, but it does the job. Stock is getting into your paddock through a hole in the fence. Your neighbours, Sarah and Emily dont care too much and refuse to help pay for fence repairs. Paul and Trudy are subdividing their farm on which there are number of give and take boundary fences; these have never been an issue up until now. It is a very old survey and the sub-divisional survey clearly shows part of the subdivision is on the neighbours land. The Fencing Act 1978 provides sensible procedures for the construction or repair of a boundary fence between neighbours. The Act sets out minimum standards of fencing required for urban and rural properties. Where an adequate fence does not already exist, occupiers of adjoining properties must contribute equally to the cost of a fence. There is provision for give and take fences where the true boundary is difficult to fence. The Schedules to the Act provide suggestions for adequate boundary fencing for both residential and rural properties. There really should be no need for a fencing dispute to arise between neighbours, and it doesnt happen that often. But when it does, it often becomes emotional and time- consuming and expensive for all concerned. When building a new fence or repairing an existing structure, its prudent for neighbours to have a simple fencing agreement between them. This would confirm the type of fence and its cost, the survey costs if the boundary pegs cannot be found, cost of materials and the proportion paid by each owner. You should also include the method of payment to cover the costs of materials; these costs can be quite substantial and a fencing contractor may need to be reimbursed for these before construction actually begins. Remember to include the name of the contractor (if there is one) and define the liability of each owner. The total cost may vary according to the arrangements between the parties. If the adjoining property owners cant agree, there is a procedure and form in the Act where one property owner gives the other a notice specifying the fence that they require and giving them 21 days from the date of service to respond. The adjoining owner then has 21 days to deliver a cross-notice of objection to that kind of fence. If the two parties cant agree, then the Disputes Tribunal may be the next step if it is within its jurisdiction or, failing that, the District Court. And what happened to our three couples and their fencing woes? Paul and Trudy need the adjoining owner to consent to the subdivision and may have to compensate them for the loss of this land. Neighbours are generally very cooperative when deciding on boundary fences. If there is a dispute, however, the Fencing Act provides very straightforward and effective rules. The Law Commission is seeking the publics views on the legal structure and rules that govern the many thousands of community organisations in New Zealand. Currently the not-for-profit sector is governed by the century old Incorporated Societies Act 1908; legislation the Law Commission argues is in need of major reform. There are currently 23,000+ incorporated societies registered in New Zealand. How the Act should provide for the resolution of disputes between members and their societies. The discussion paper is available at http://www.lawcom.govt.nz/. Submissions close on 30 September 2011 and can be made online. The Christchurch earthquakes have been a wake-up call to all business owners to ensure they have some form of business interruption insurance. Whilst many of us viewed this as something of a grudge purchase, recent events have shown that one can never be too prepared. Talk to your broker or insurance company to ensure your business is covered in the event of a catastrophe. New Zealands property sector, all owners of unit title properties are now affected. There are significant changes to the unit title sales process as there is a greater burden on the seller to provide more information to buyers. There are also more obligations on body corporates as they are now required to have good record keeping, maintenance planning and consultation between unit owners in each unit title development no matter whether the development has 200 unit title owners or three. The Australian version of New Zealands Personal Property Securities Act 1999 is expected to come into effect across the Tasman in October this year. Whilst conceptually similar to our countrys PPSA, the Australian legislation differs in a number of significant respects. However, as in New Zealand, registration of financing statements to perfect security interests is an important aspect of the new Australian legislation. If you own or have a security interest in any personal property in Australia, have moveable assets (or security over such assets) which may be transferred to that jurisdiction from time to time or you export goods to Australia, then the new Australian PPSA may impact on you.